47 years ago on this day, December 1 (which was a Friday in 1967), “Friday’s Child” had its first and only showing on NBC. 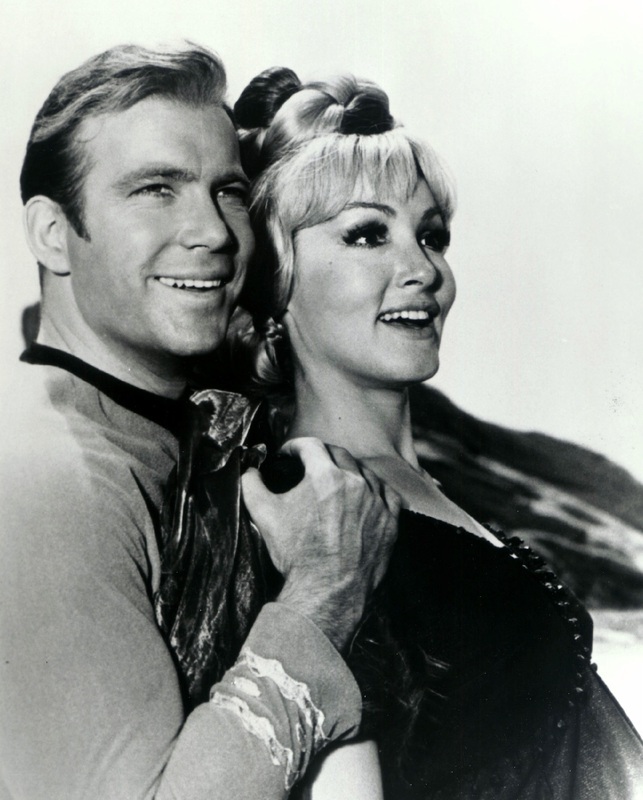 As it almost always did during its sophomore season, Star Trek placed second in its time period during the three-way ratings race. And, as it almost always was, it was NBC’s most critically acclaimed and highest rated show of the night. Do you doubt this? Check out the reviews and the Nielsen numbers by clicking here, and doubt no more. Then, watch the delightful “Friday’s Child” tonight and imagine it's 1967 all over again ... but without the breaking news reports from Vietnam. A good adventure tale tonight. Trying to obtain mining rights from a planet inhabited by primitive tribes, our heroes find themselves in direct competition with the Klingons -- an unscrupulous rival of the Earth federation to which the Enterprise belongs. The fighting here is with boomerangs and bows and arrows, but the day is saved by Dr. McCoy’s skill in psychiatry and obstetrics. Julie Newmar stars in this exciting episode which might have been stretched into a two-parter. 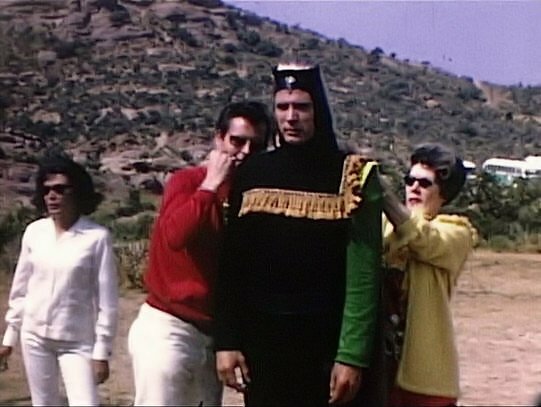 Captain Kirk and a landing party arrive on a strange planet to negotiate a mining contract. They find the inhabitants to be a giant race who put little value on human life and instead put a greater stress on violence and the success of politicians and of the powerful. The landing party is shocked to witness the preparation for an execution. The victim is the widow of an assassinated ruler and she must die because she is pregnant and her child could be legal heir to the throne. Of course, Captain Kirk and company rescue her but they are soon captured themselves by the giant people. Read all about the writing and making and first airing of “Friday’s Child” in Marc Cushman’s Saturn-award winning book, These Are the Voyages: TOS, Season Two, or pick up an autographed copy by clicking below, and get it at the lowest price anywhere! And then treat yourself to watching this delightful episode of Star Trek tonight on the anniversary of its first broadcast.